Raspberry, Blackberry, & Boysenberry, Pick your favorite or mix them up. 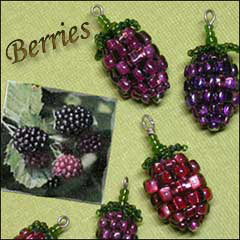 Stitch these sumptuous berries and use them for jewelry, decorations, or accent pieces. Gorgeous!